OSCEOLA COUNTY — As one of the largest swing states it’s hard to determine who Florida will favor come the presidential election. And the Puerto Rican vote could play a big role this year. Onyx Rosario from San Juan, Puerto Rico has been in Osceola County for more than a decade. His wife just got here about a month ago. They’re one of the many families looking for a better future. “They come here, they leave the island to look for better jobs, better opportunities for the kids, their families… Which is important,” Rosario said. Mi Familia Vota meaning, My Family Votes is a nonprofit that helps Hispanics like Rosario learn more about civic participation. 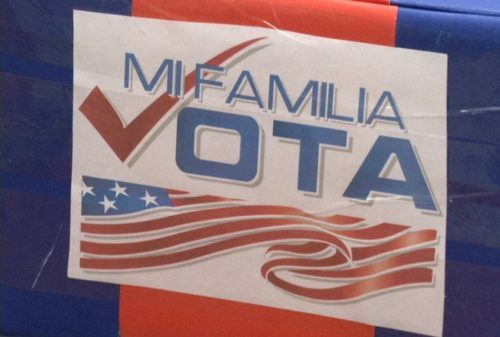 Due to the growing Hispanic population, Mi Familia Vota just opened an office in Kissimmee to better serve the community.